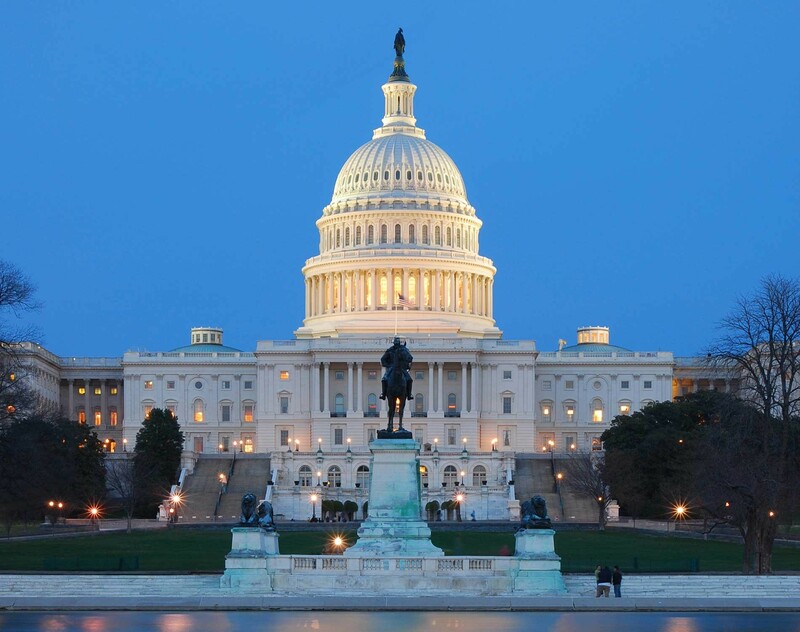 On January 16, 2019, the US House of Representatives overwhelmingly passed bill H.R.190, which would require the Small Business Administration (SBA) to determine a firm’s eligibility to receive a sole-source award under the Women-Owned Small Business (WOSB) Federal Contracting program (the WOSB Program), rather than relying on self-certification.1 If enacted, this requirement would remain in place until such time as the SBA implements a certification program, which so far, it has been reluctant to do, notwithstanding criticism from the Government Accountability Office (GAO) and the SBA’s Office of the Inspector General (OIG). The requirement for a certification program was actually established in section 825 of the National Defense Authorization Act (NDAA) for Fiscal Year 2015.2 Section 825 authorized the award of sole-source contracts under the WOSB Program while eliminating the self-certification option for firms participating in the program, meaning firms could only receive awards under the WOSB Program if they had a certification from an approved third-party verifier. In October 2015, the SBA published regulations implementing the sole-source authority, but not the new certification requirements. To the contrary, the SBA still allows firms to self-certify for sole-source awards and set asides under the WOSB Program. H.R.190 may be the impetus that the SBA needs to finally remedy this shortcoming. For WOSBs, this means that self-certification will no longer be an option. Instead, all firms wishing to participate in the WOSB Program will be required to obtain a certification from a federal agency, state government or national certifying entity approved by the SBA. While the details of the SBA’s “impending” certification program remain a mystery, the process will most certainly be more rigorous and more highly scrutinized than the current process for self-certifications. On the bright side, the move away from self-certifications is not necessarily a bad thing. There are distinct benefits to third-party certifications, even if they entail a modest fee. In other words, firms had the choice of obtaining a third-party certification or self-certifying. Many chose the latter “no-cost” option, under which self-certifications and supporting documentation were uploaded to a web-based repository for contracting officers to review. In December 2014, Congress amended the WOSB Program in section 825 of the National Defense Authorization Act (NDAA) for Fiscal Year 2015, authorizing the award of sole-source contracts to WOSBs. Importantly, section 825 also eliminated the self-certification option for firms participating in the program.9 Whether or not this was done in response to the adverse GAO and OIG findings is not clear. It is clear, however, that contracting officers no longer had statutory authority to award contracts to firms under the WOSB Program unless and until an approved third-party certifying entity has determined they are eligible to receive an award. At least that is what Congress had intended. In October 2015, when the SBA issued its final regulations authorizing contracting officers to award contracts on a sole-source basis, it declined to issue new rules regarding the certification requirements mandated by section 825. The SBA explained that it “did not want to delay the implementation of the WOSB sole-source authority by combining it with the new certification requirement.”10 That was well over three years ago, and the SBA has still not issued a new rule regarding its certification program. Instead, SBA continues to advise firms that they may self-certify through the certify.SBA.gov website (which was offline during the federal government shutdown). Without a revised certification program, many of the problems identified in the GAO and SBA OIG reports have continued unabated. In 2018, the SBA OIG conducted an audit of the federal government’s use of its sole-source authority under the WOSB Program to determine whether contracts awarded on that basis complied with the program requirements and whether firms that received set-aside contracts on a sole-source basis conformed to the self-certification requirements.11 To that end, the SBA OIG reviewed 56 sole-source contracts awarded between January 1, 2016, and April 30, 2017, which represented 81 percent of the sole-source contracts awarded during that time period. The SBA OIG found that agency contracting officers did not have the necessary documentation to determine eligibility for 50 of those contracts. This included 18 instances in which the awardees failed to upload any supporting documentation whatsoever in certify.SBA.gov. In issuing its findings, the SBA OIG reiterated its concerns about the SBA’s decision to issue its final regulations authorizing contracting officers to award sole-source contracts without also implementing the certification process mandated by section 825 of the FY15 NDAA. The SBA OIG suggested that SBA could prevent agency contracting officers from awarding program contracts to ineligible firms by bringing the WOSB Program more in line with existing SBA certification programs (e.g., 8(a) Business Development and HUBZone programs) under which firms are reviewed and approved by the SBA or an approved third-party entity before entering the program and receiving contracts. In response to the 2018 audit findings, the SBA indicated that it has already drafted a proposed rule to implement the certification requirement and expects to complete final action by January 1, 2020. Assuming this timeline is accurate, WOSBs that currently do not have a third-party certification will likely need to obtain one this year or early next year if they wish to participate or continue to participate in the WOSB Program. The certification process (as least as advertised) generally takes about 90 days to complete after the certifier receives a completed application and supporting documentation. Certifications must be renewed annually, although the recertification process is much less cumbersome and time-consuming. The SBA itself might also decide to verify the status of small businesses, or be required to do so by statute. Indeed, if H.R.190 passes the Senate and is eventually enacted, the SBA will be forced to verify the status of all firms receiving sole-source awards under the WOSB Program until such time as the agency implements a certification program.12 H.R.190 would also require the GAO to conduct an evaluation of the policies and practices used by the SBA and other agencies to ensure that sole-source awards are properly classified and awarded to eligible firms. Unlike self-certifications, there is typically a modest fee associated with third-party certifications. However, the benefits of a third-party certification far outweigh the cost of obtaining one. To begin, third-party certifications help protect the integrity of the WOSB Program by ensuring that only eligible small businesses receive program contracts. As noted earlier, reviews of the WOSB Program by the SBA OIG and the GAO demonstrate that a substantial number of firms receiving contracts under the program may not have been eligible for those contracts. This deprives legitimate WOSBs of contracting opportunities and frustrates the overall purpose of the WOSB Program, which is to help level the playing field so that WOSBs can compete for federal contracts in industries in which they have been historically underrepresented due to a host of legal, economic, structural and socio-cultural barriers. The shift to third-party certifications seems inevitable. As part of their New Year’s resolutions, firms wishing to compete for contracts under the WOSB Program would be well advised to apply for and obtain a certification from an approved third-party verifier before it becomes mandatory. (Arguably, the requirement for a third-party certification became mandatory in 2015, but so far, no one has challenged the SBA’s delay in implementing the statutory requirement or an agency’s decision to set aside and award contracts based on self-certifications.) 15 By obtaining a third-party certification sooner rather than later, firms will be ready for the transition and can maximize market opportunities with public agencies, corporations and other WOSBs.